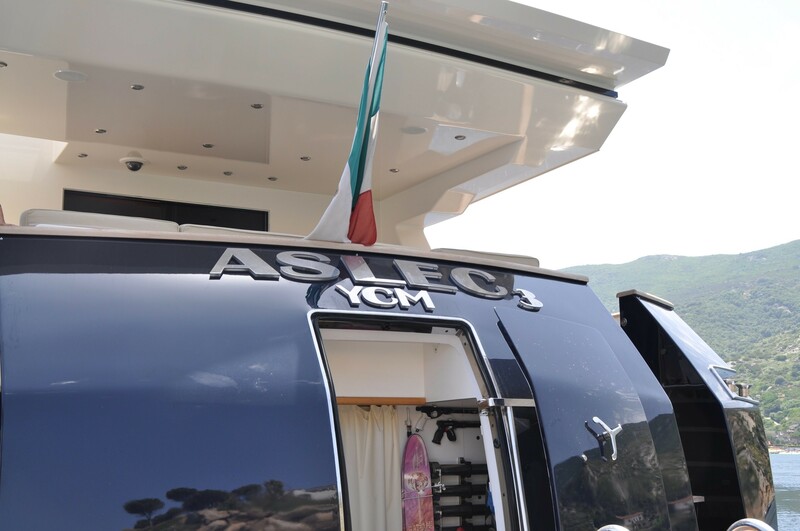 Luxury motor yacht CAPPUCCINO (previously ASLEC 3) was built in Italy in 2007 by Costruzioni Navali Tigullio and features naval architecture by Design Studio Spadolini. 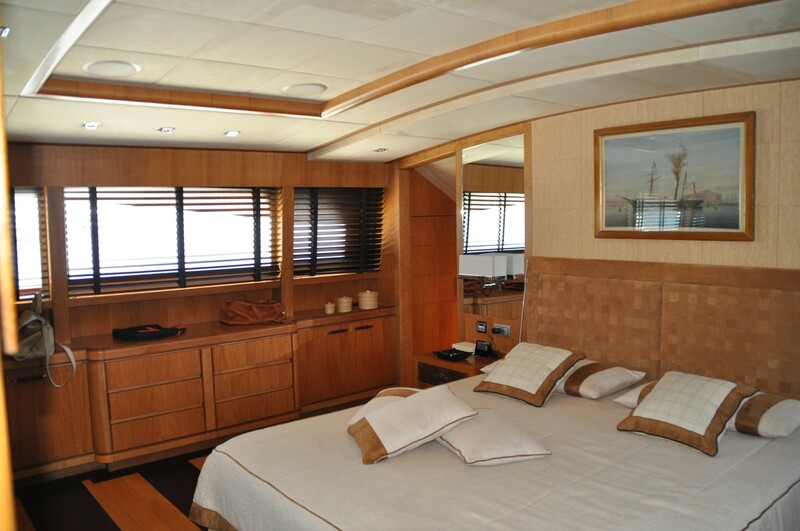 CAPPUCCINO measures 32m (105ft) in length and is constructed of wood. 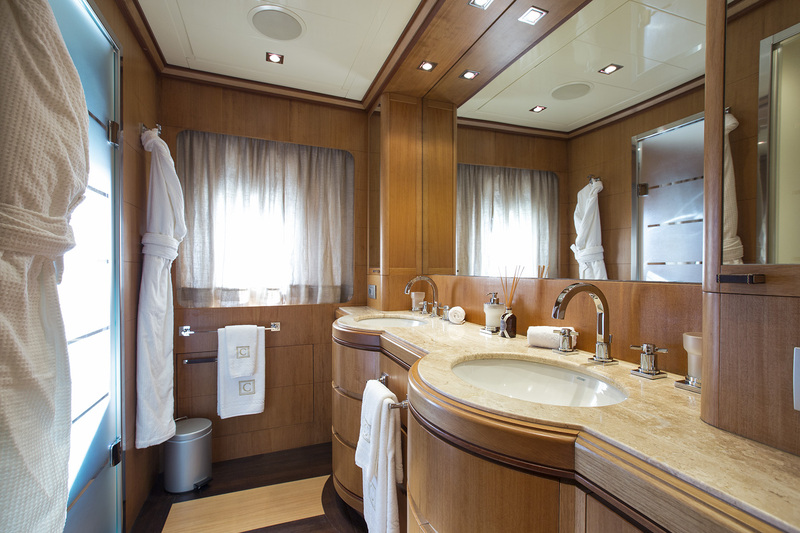 M/Y CAPPUCCINO underwent an extensive refit in 2013, boasting a refined fresh ambiance, accommodating up to 12 charter guests, in 5 cabins. 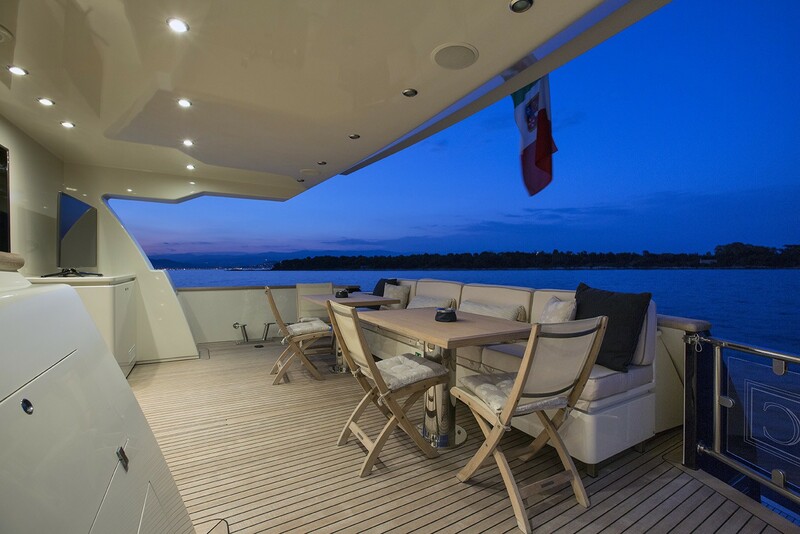 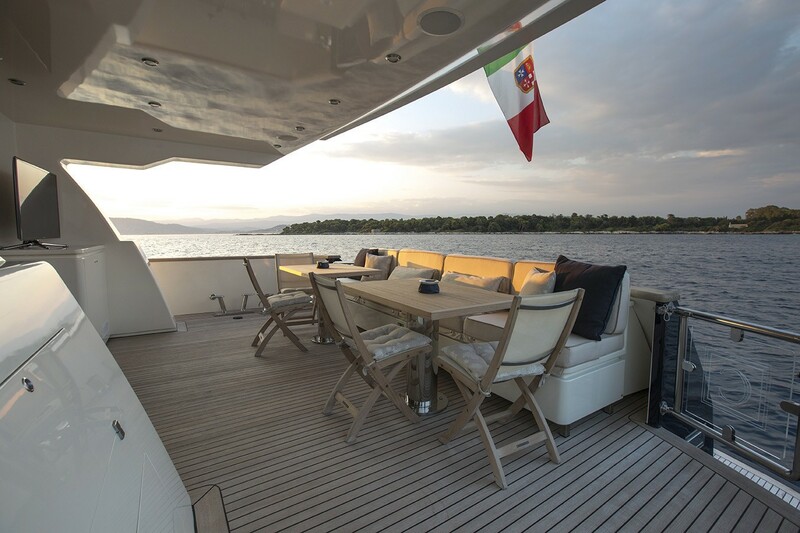 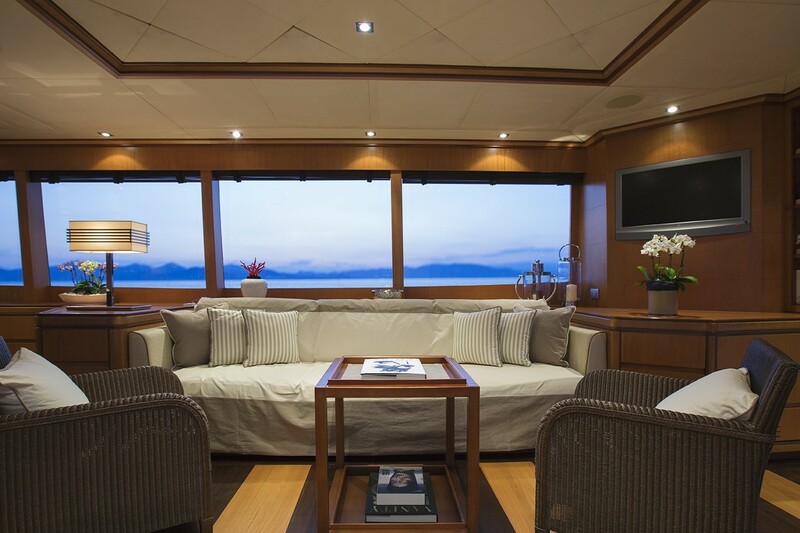 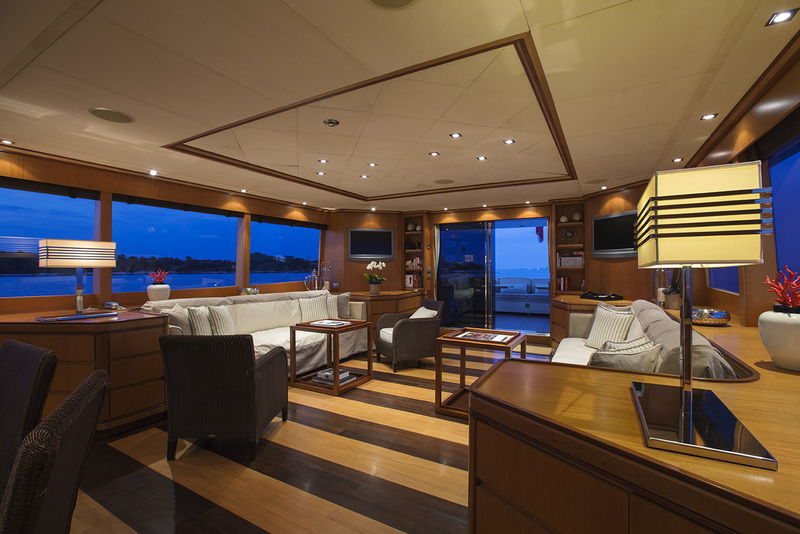 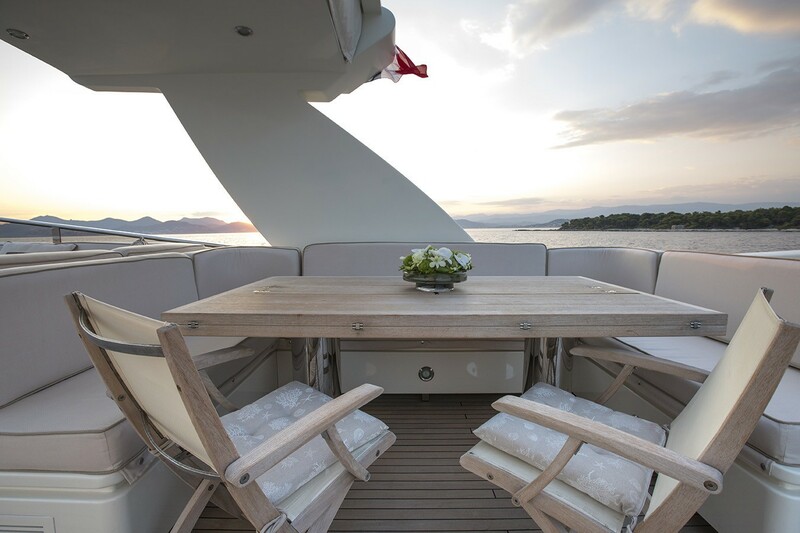 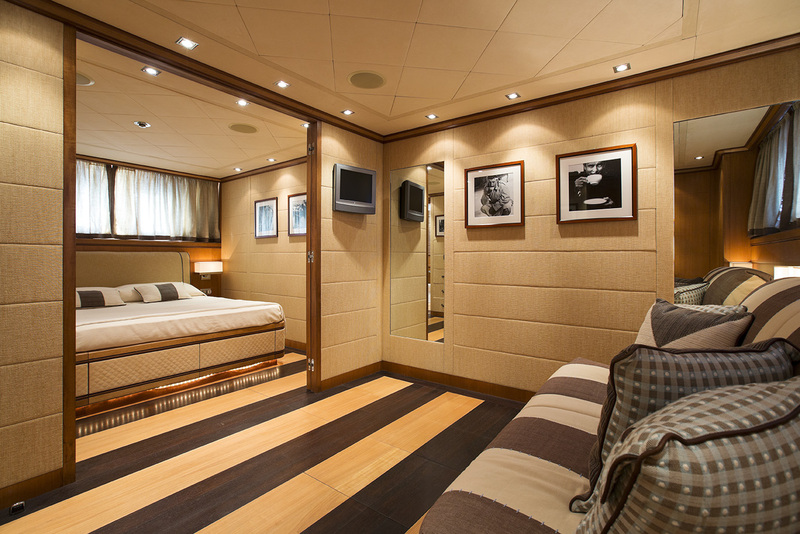 Crewed charter yacht CAPPUCCINO has interior design by Celeste Dell`Anna and offers a warm welcome décor, of fine woods and neutral soft furnishings. 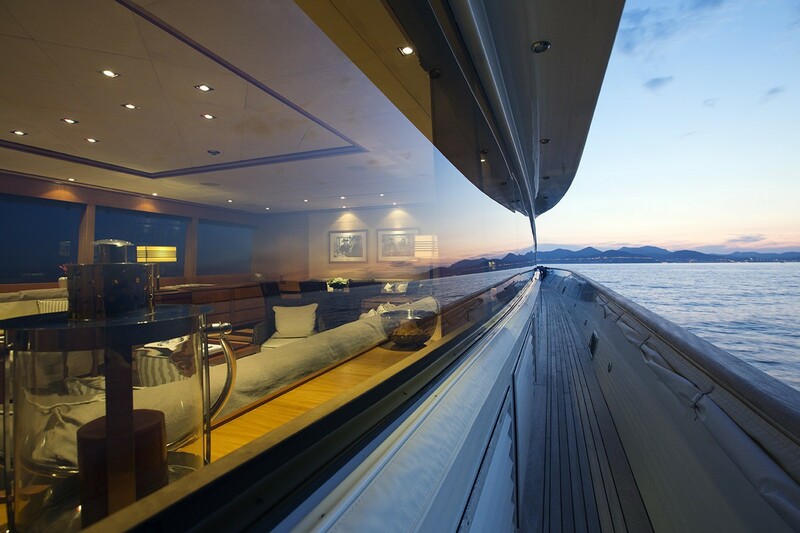 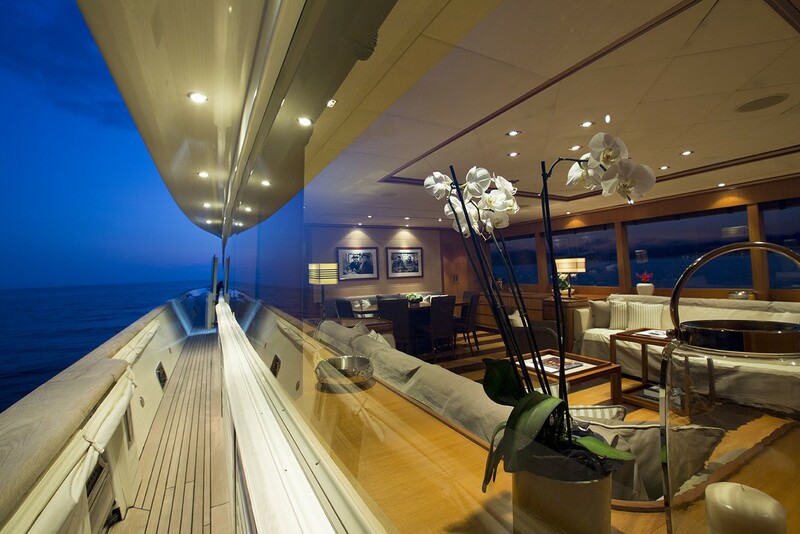 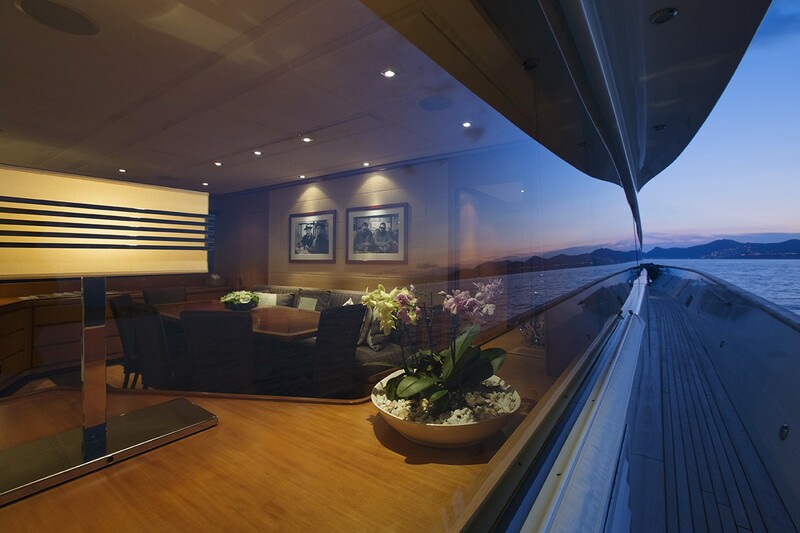 Throughout the yacht, 2 toned floors are bespoke and elegant, large windows and ports allow ample natural light, while handpicked art adds allure. 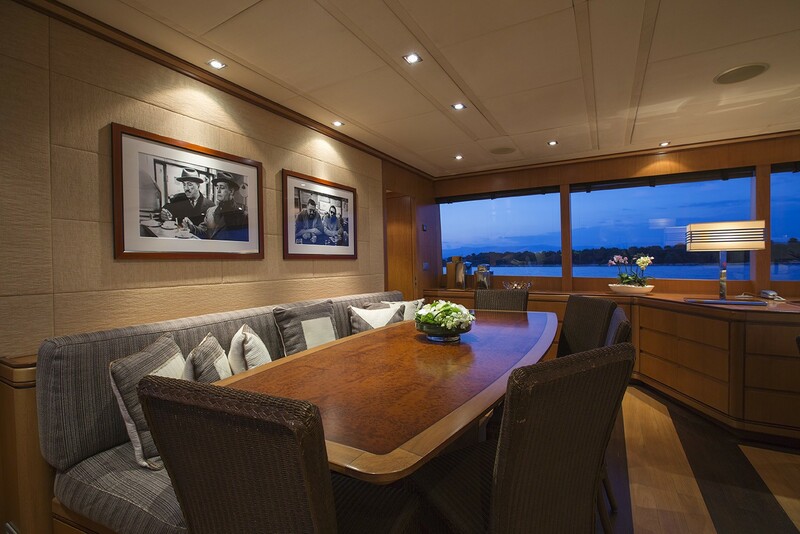 The main salon is a contemporary open plan, offering a generous lounge aft, with opposing sofas, occasional chairs and coffee tables, followed by a full beam formal dining area forward. 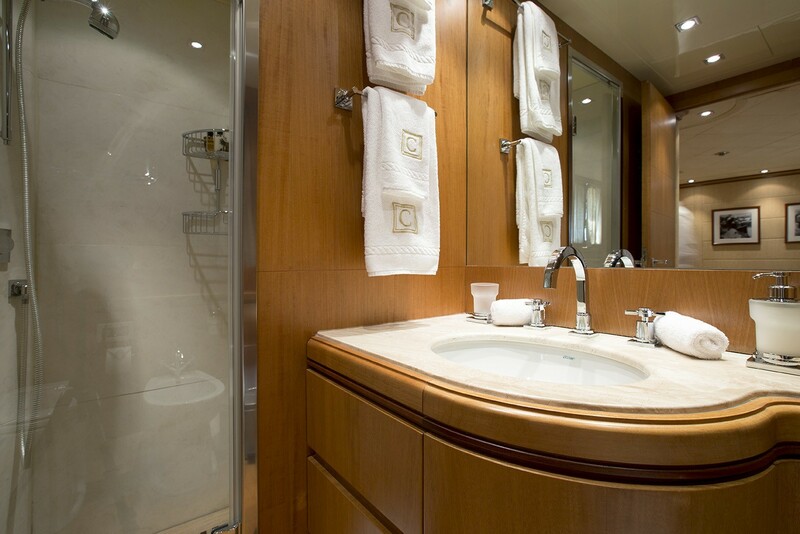 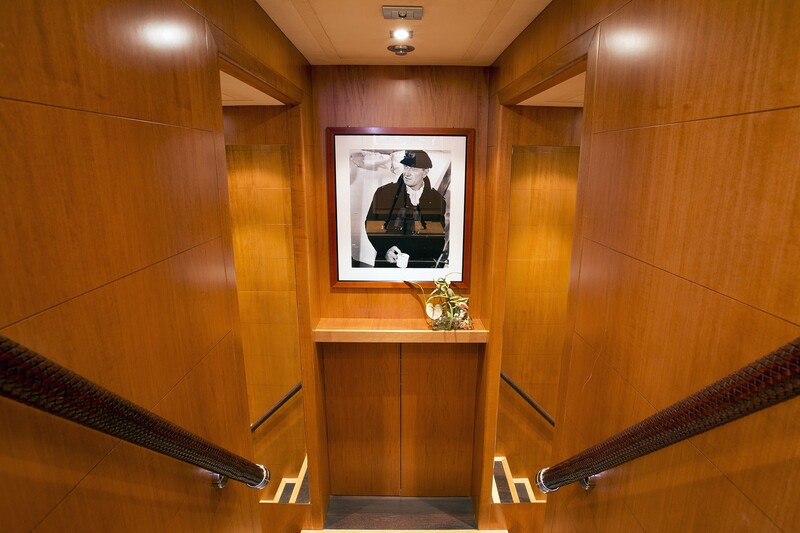 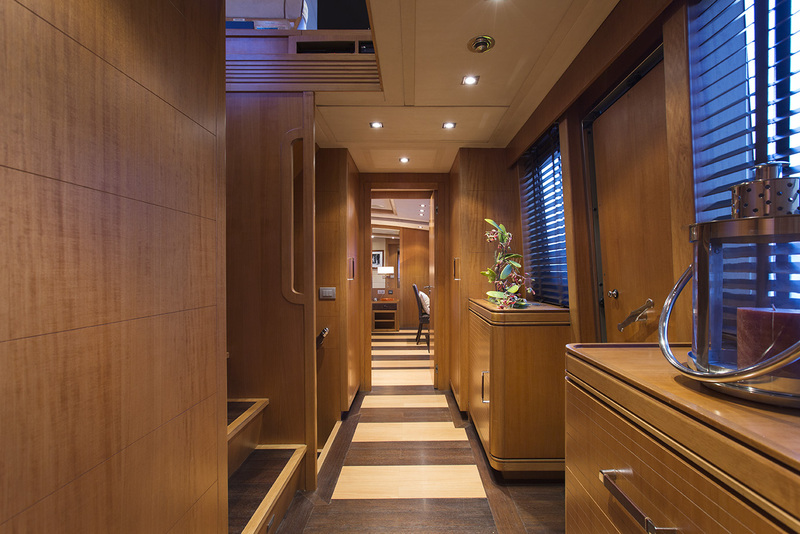 A foyer on the starboard side leads to a full beam master stateroom, while additional guest accommodation is below decks, in 4 en-suite cabins. 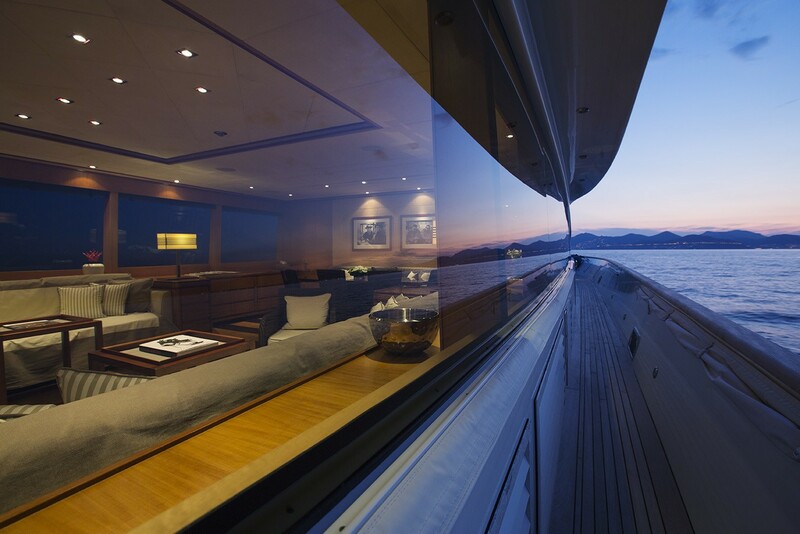 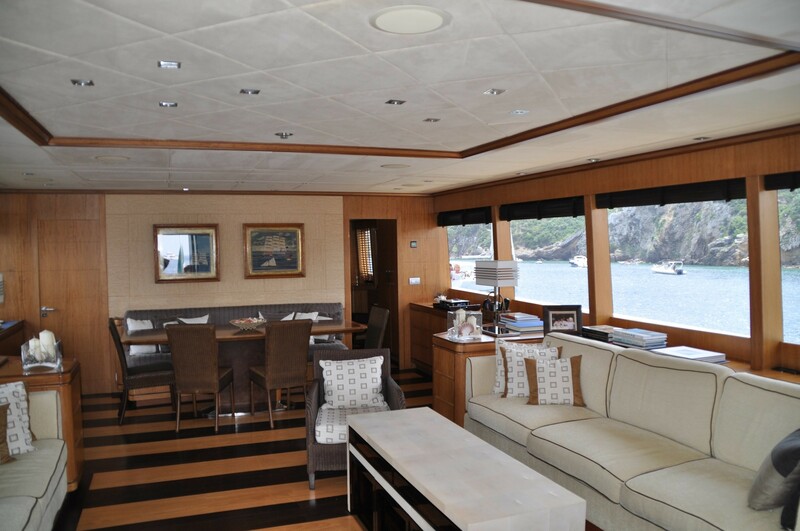 M/Y CAPPUCCINO boasts generous exterior living, on 2 levels. 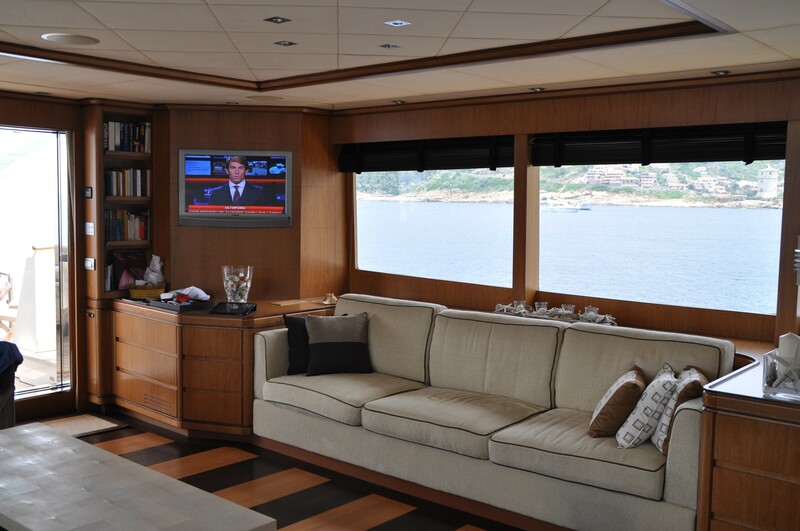 Adjacent to the salon is the shaded aft deck and spacious alfresco dining area. 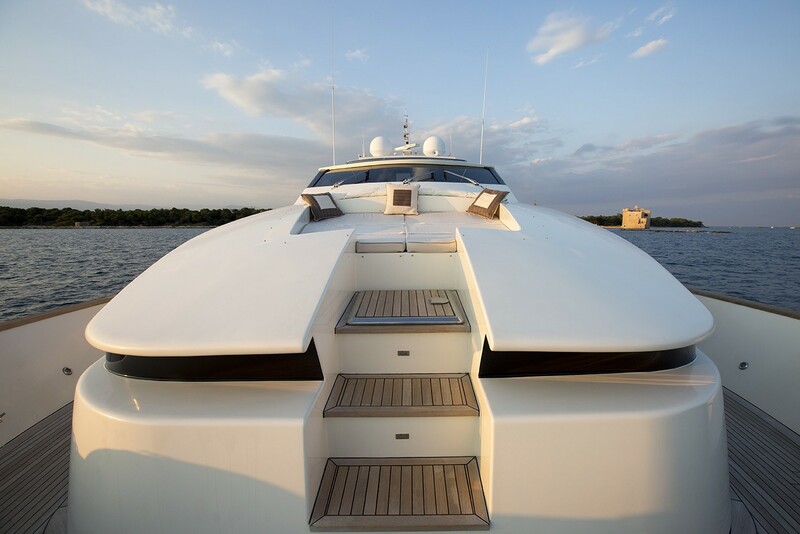 A stair case on the port side provides outside access to the upper deck, while aft steps lead down to an extended swim platform. 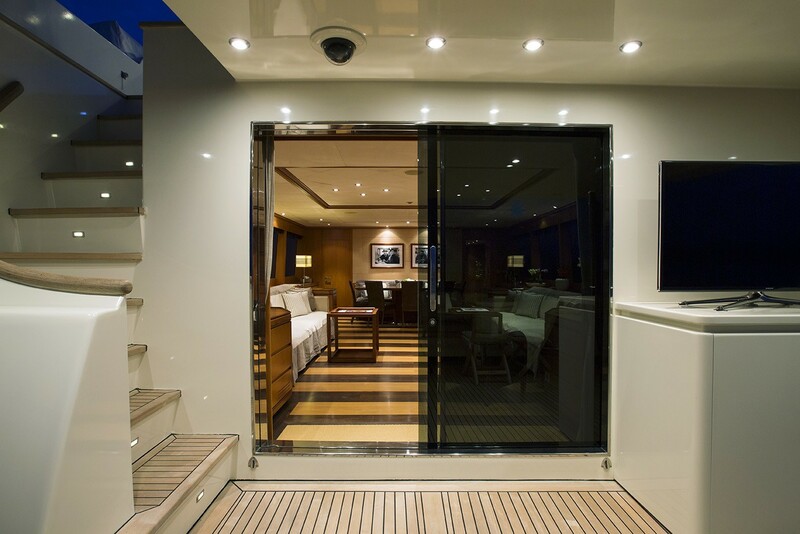 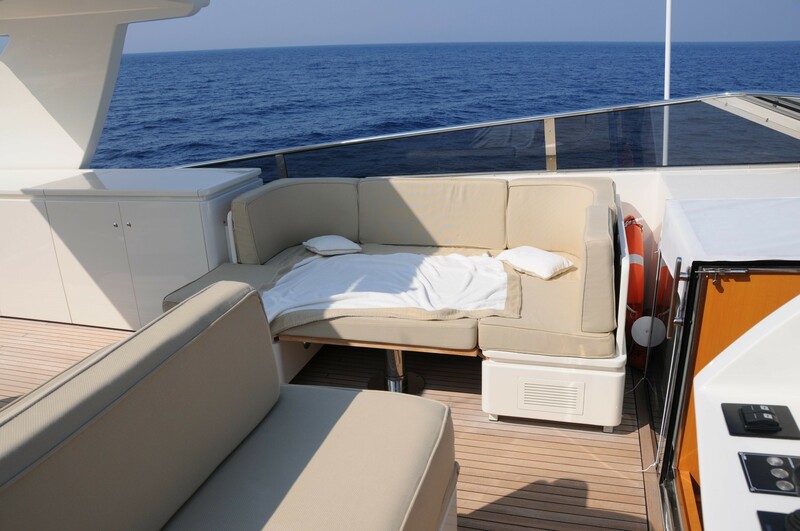 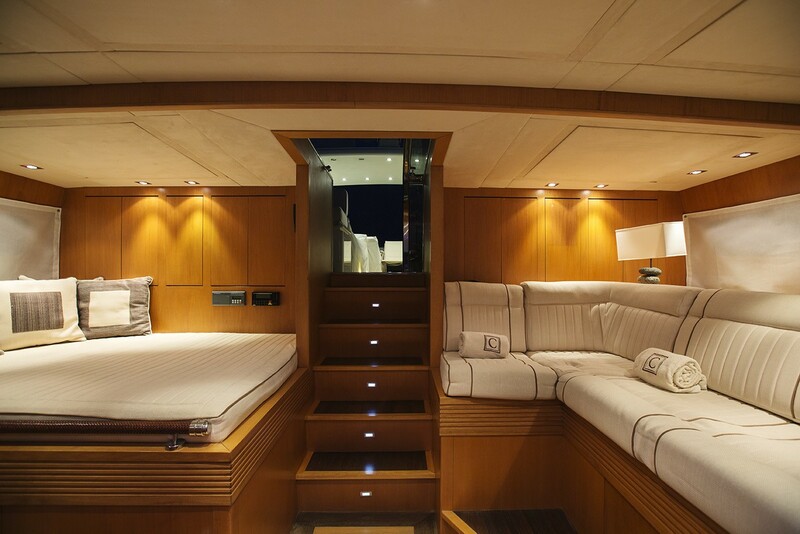 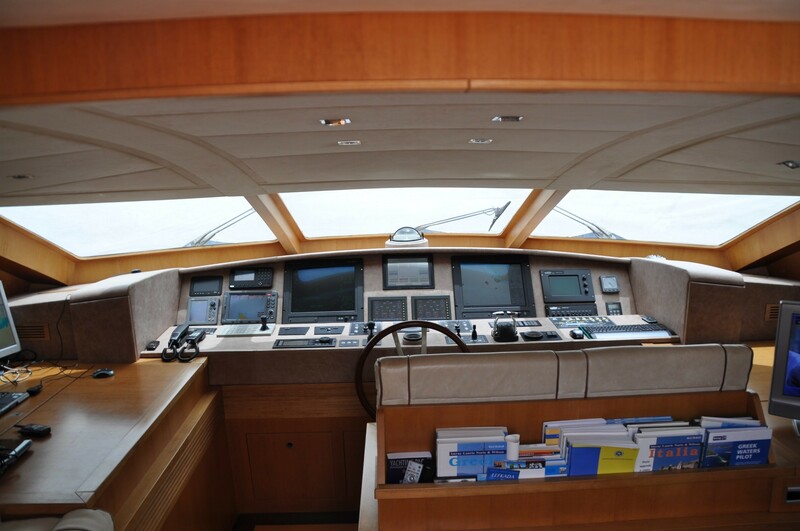 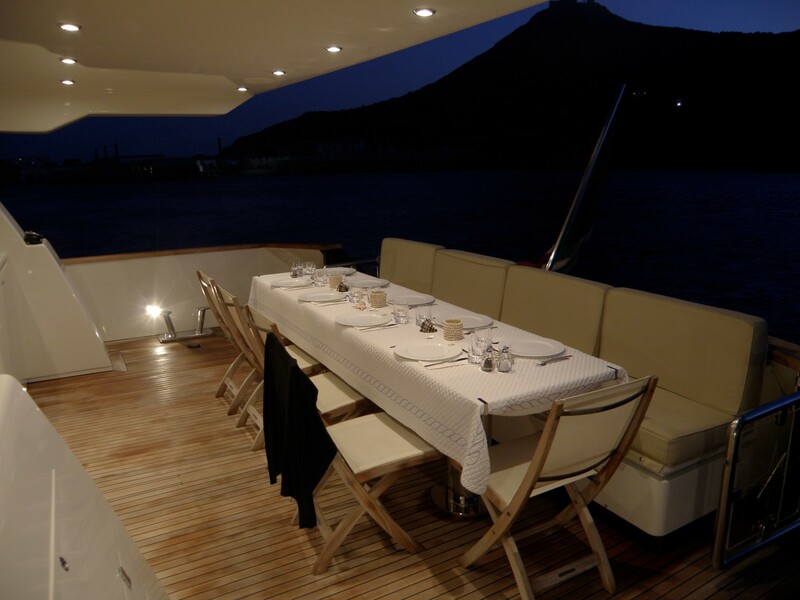 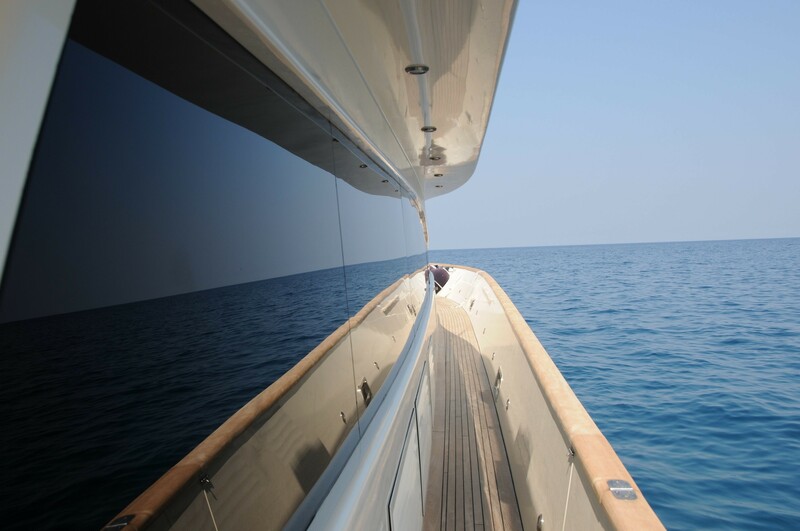 The yachts wide side decks are ideal for easily walking forward, to enjoy the large foredeck and raised double sunpad. 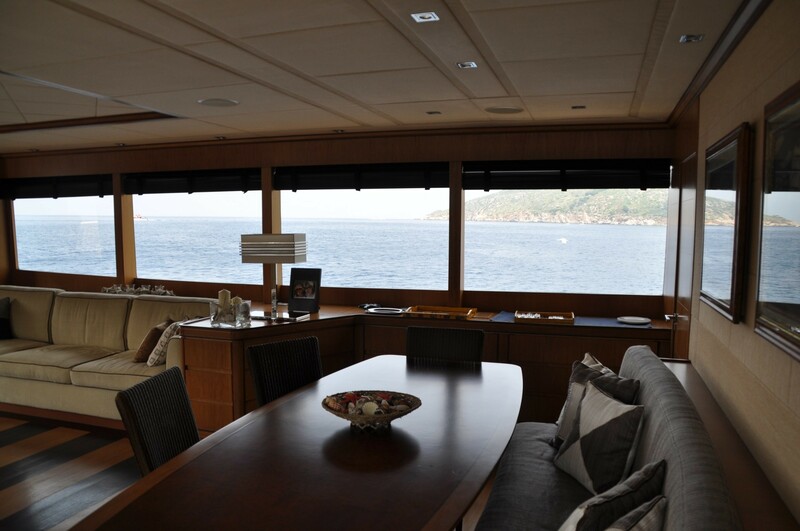 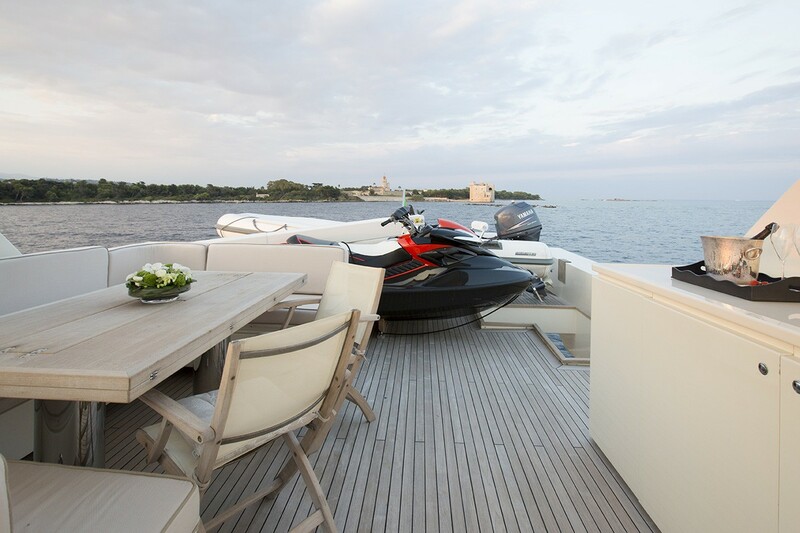 On the upper deck, guests have 2 double sunpads, seating, an alfresco dining option and spectacular views. 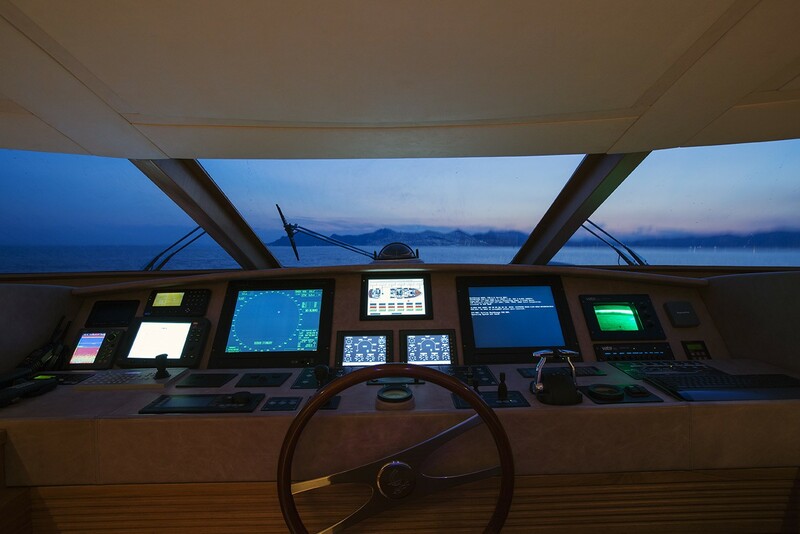 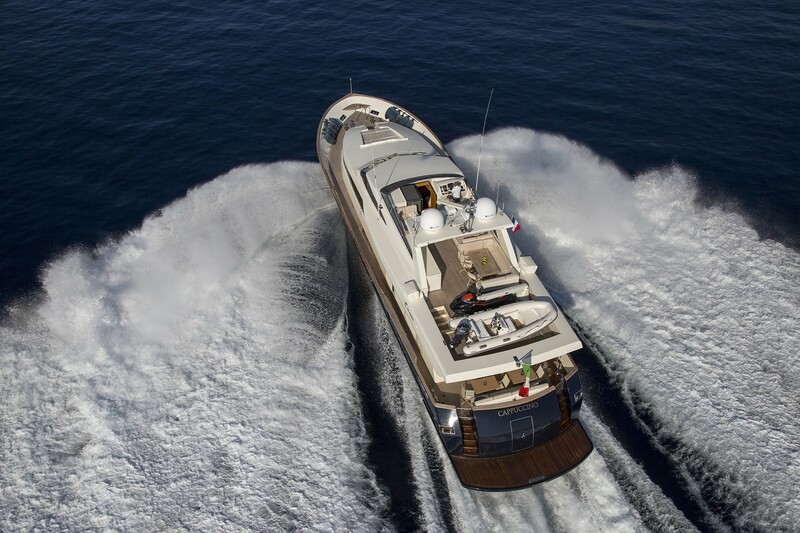 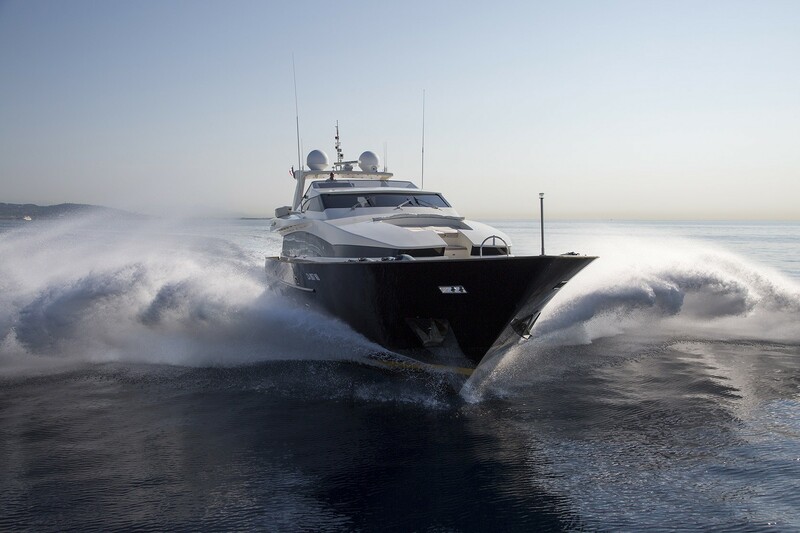 Powered by 2 x 2300hp engines, the charter yacht CAPPUCCINO is capable of speeds of 26 – 28 knots. 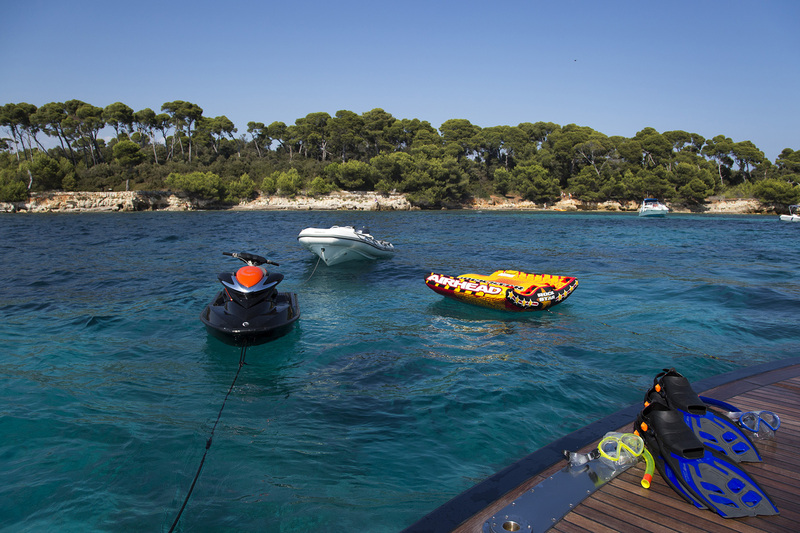 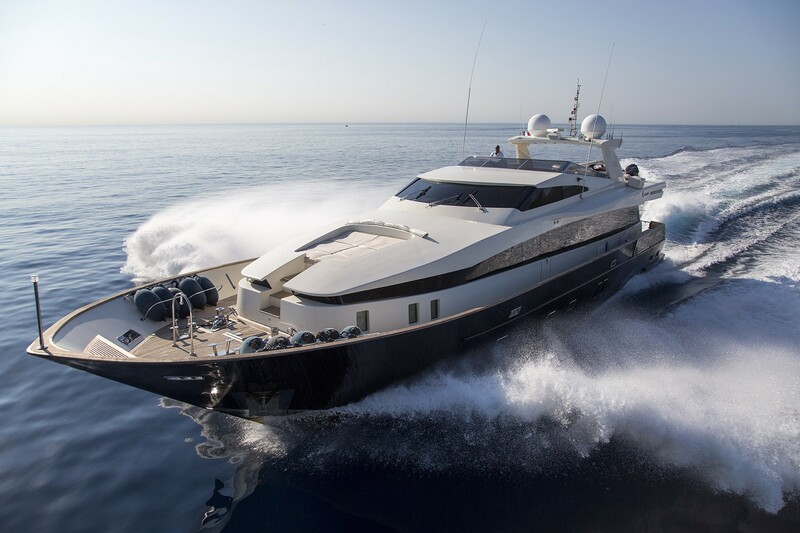 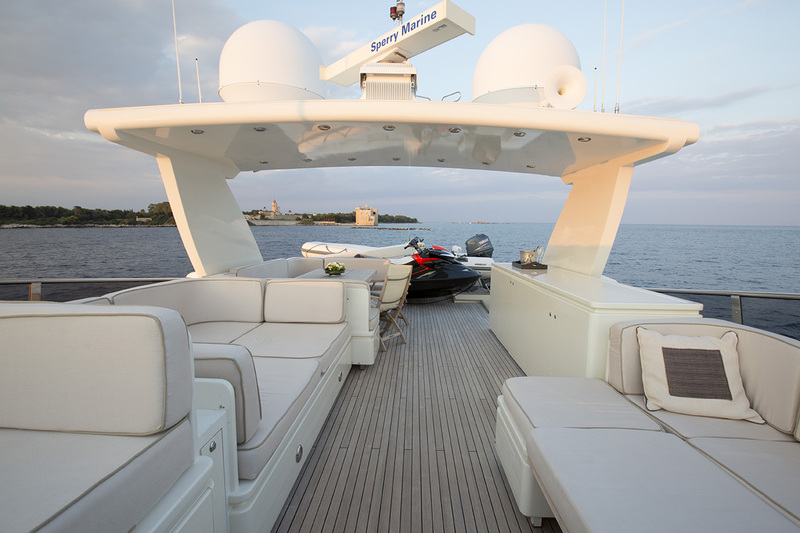 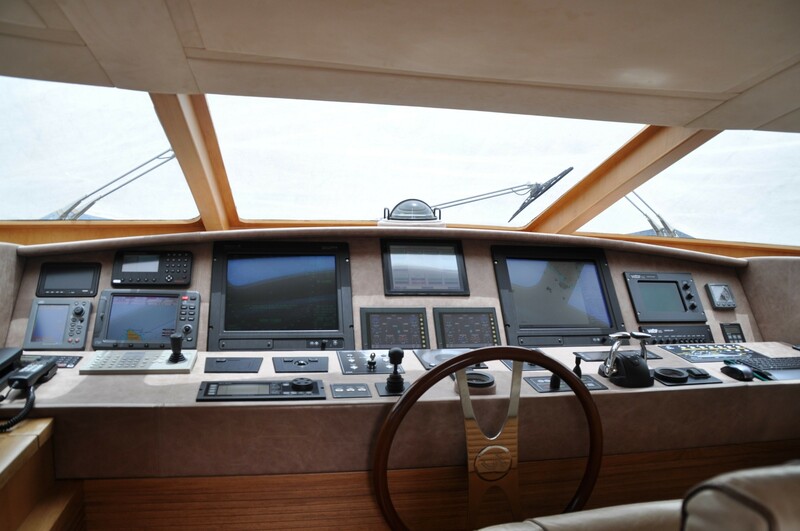 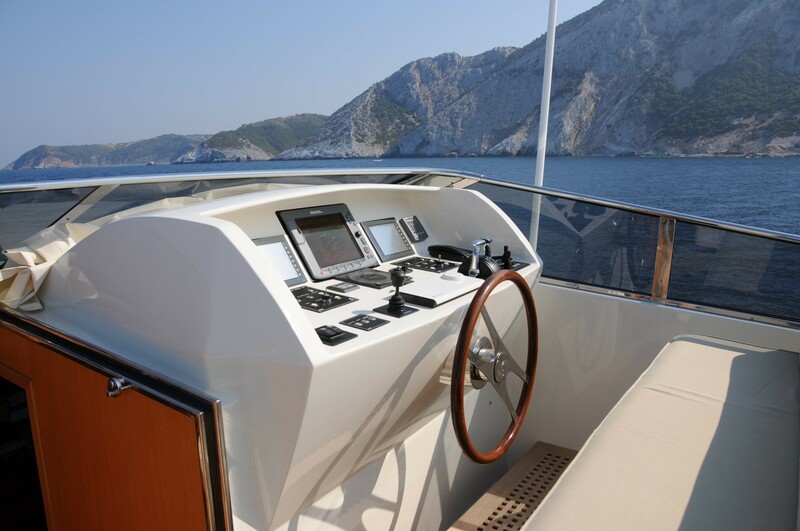 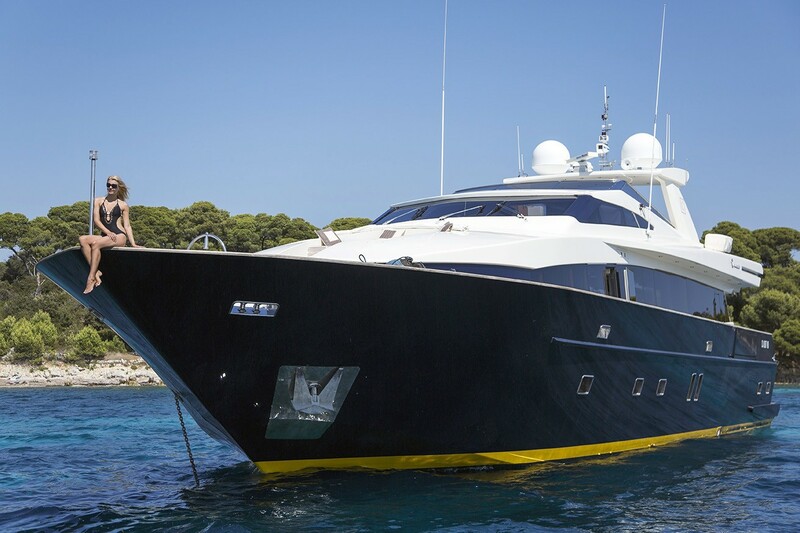 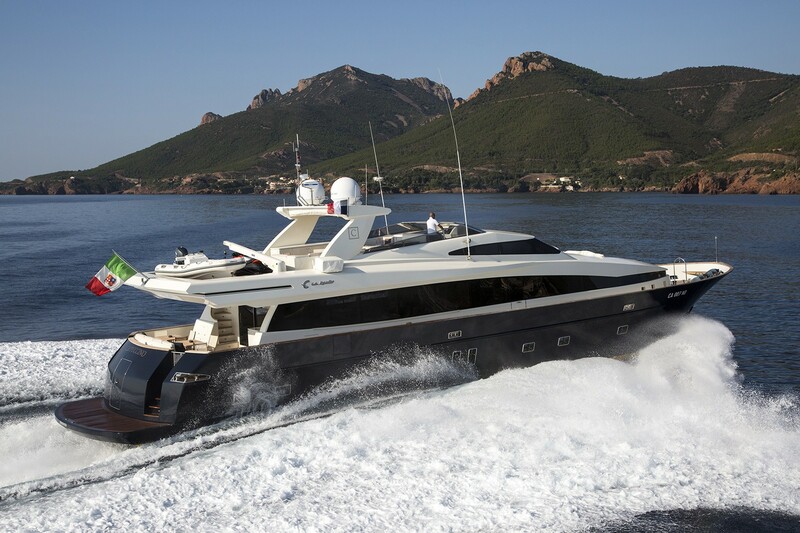 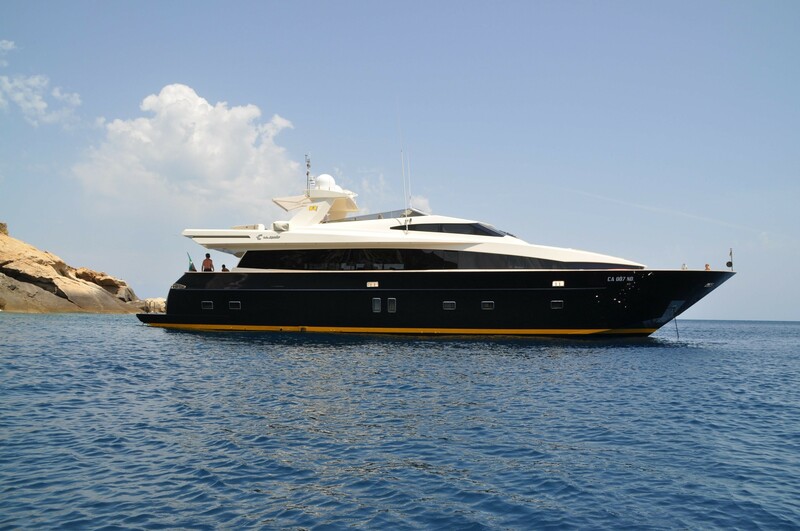 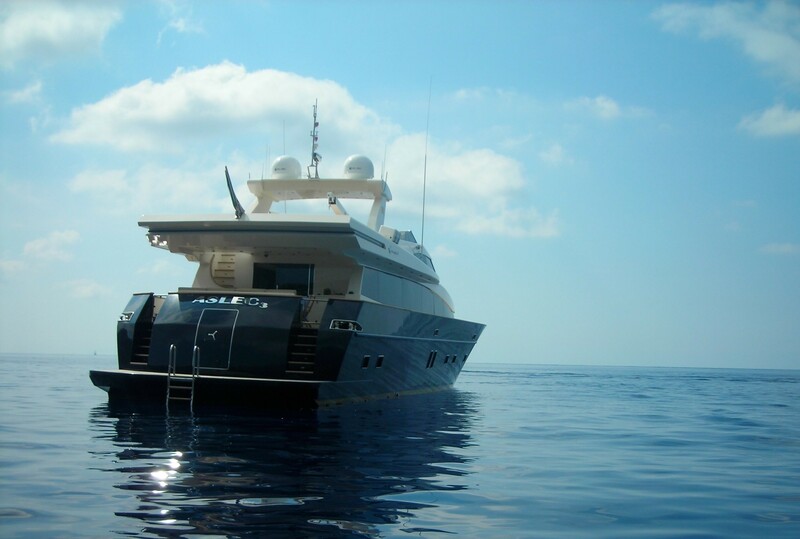 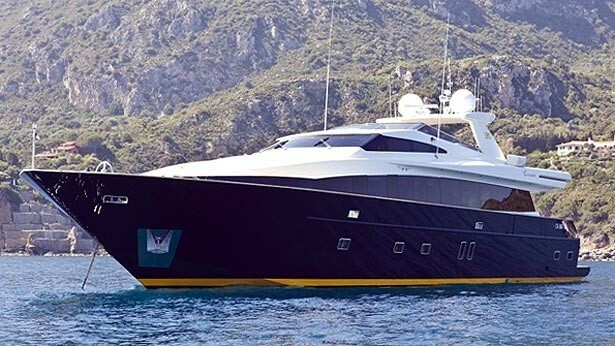 The CAPPUCCINO motor yacht boasts at anchor stabilizers. 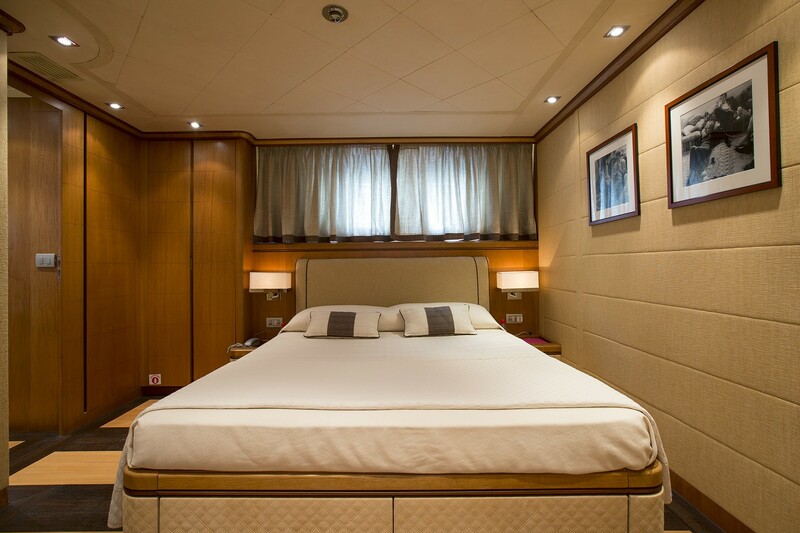 Luxury accommodation is provided aboard the charter yacht CAPPUCCINO in 5 well-appointed, versatile cabins, each with private en-suite facilities and entertainment systems. 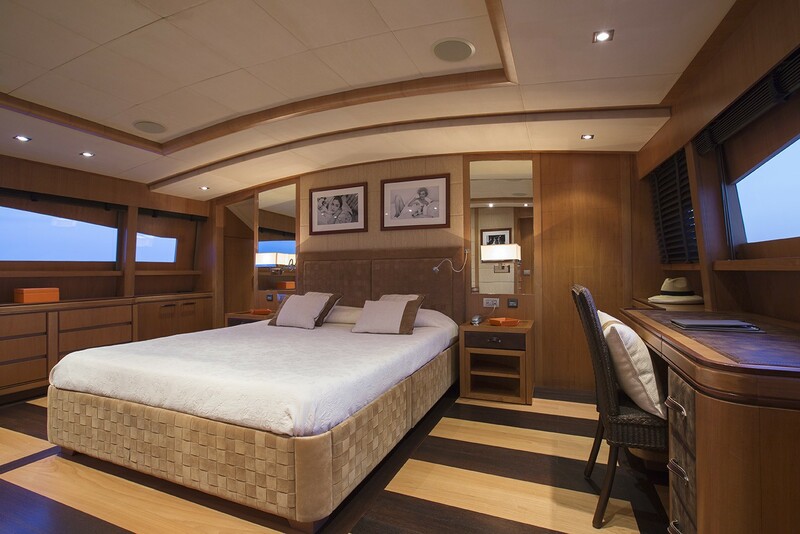 The master suite is on the main deck forward of the salon and features a center lined king size bed, desk, large en-suite with his and hers sinks and walk in wardrobe. 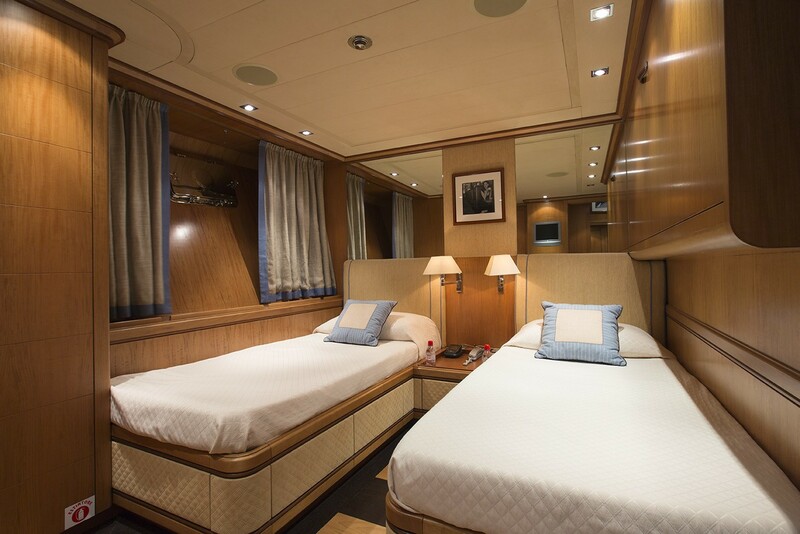 Below decks, 2 double cabins can be adjoined to create one large VIP cabin with a personal study space, or remain as 2 double cabins. 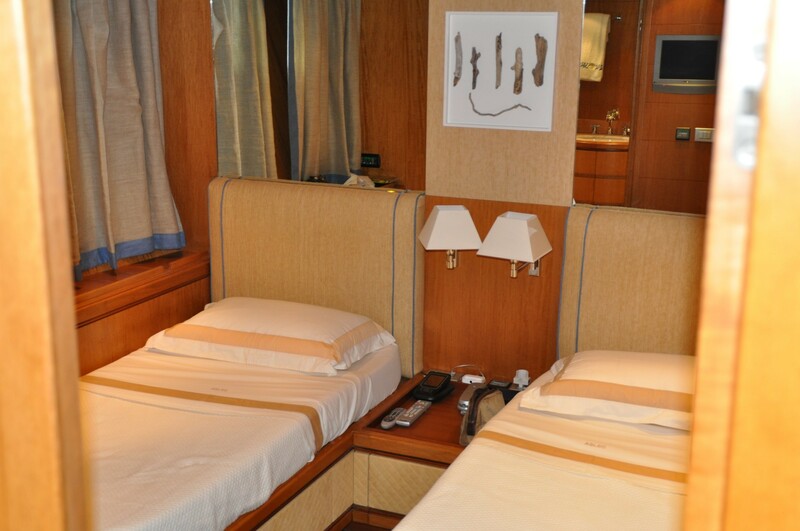 A further 2 twin cabins each have single, side by side twin beds and a Pullman berth each.